Energy suppliernpower is the latest firm to raise its prices - with a price increase averaging 10.4%. In total, npower's gas rates will rise by 11.1% from December 1, with electricity bills also set to surge by a whopping 9.3% - the highest rise in energy prices thus far this year by an energy firm. Its customers can expect to see a £137 increase in dual-fuel bills, taking them up to £1,459. The firm joins fellow 'Big Six' energy suppliers British Gas and SSE in rising energy bills this year and due to the latest wave of price hikes, the average gas and electricity bill is set to top a staggering £1,500 for the first time. Npower chief executive, Paul Massara, said: "I know that any increases to household bills are always unwelcome, and this is not a decision that we have taken lightly. We will continue to take steps where we can to reduce the impact of the external influences on energy bills." Npower was not the first 'Big Six firm to announce a price increase as SSE announced an 8.2% for its gas and electricity prices earlier in October, with dual-fuel customers set to see a rise to around £1,380 per year. British Gas quickly followed suit by announcing a 9.2% average rise in energy bills. Due to come into effect from next month (23 November), the firm's electricity prices will rise by 10.4%, and gas prices by 8.4%. 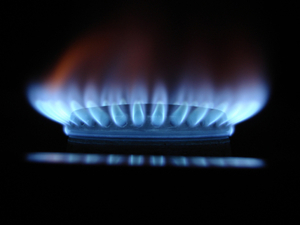 The British Gas price hike will see dual fuel customers hit with an average bill of £1,444 per year. Clare Welton of the Fuel Poverty Action Group criticised the latest wave of price increase by the three 'Big Six' firms. She said: "We can see from the wave of price rises that switching from one Big Six energy supplier to another is not the solution to fuel poverty. "As yet more households are pushed into fuel poverty we need to acknowledge the problem is the 'Big Six' themselves: they will never prioritise people's lives over their profits." The government launched its Green Deal initiative in January, which, via the installation of improved energy efficiency measures such as new boilers or wall insulation, is designed to help cut down energy bills. The customer then pays their energy firm back via a rate which is calculated in correlation to the money they will save by fitting the new measures.